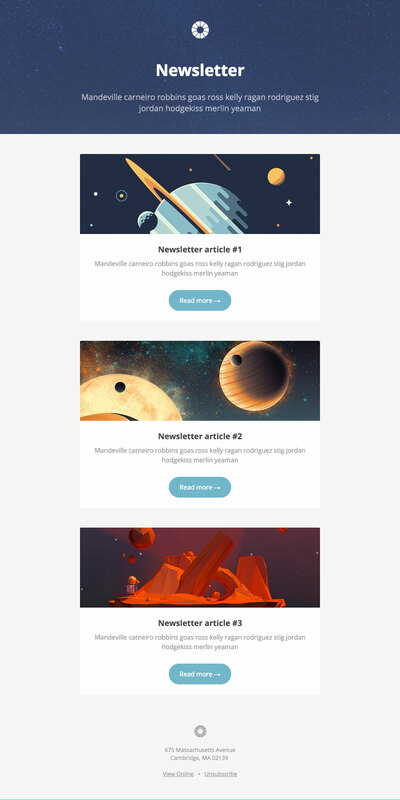 27+ Free Email Templates from Litmus —Litmus Software, Inc.
Email templates are a great way to jumpstart your email design process. When relying on well-designed and thoroughly tested email templates, you can easily save hours of email development time and focus on the most important part of the email—the content. Which is why we built Litmus Community Templates—a collection of elegant, pre-tested, free email templates that cover a range of use cases, from account management and e-commerce to launching and marketing products. Find a template that suits your needs. Whether you need a template for a newsletter, event, or to market a product, you’ll find what you’re looking for in the template tallery. On your chosen template, hit “Open in Litmus Builder”. Your template will open in Litmus Builder, our code editor for email marketers, where you can start adding your copy and making any changes to your email to match your brand’s design. To save the template to your account, select “Save” from the top dropdown under “File”, and the template will be copied automatically. You can access your template from the project Shared Documents at any time. Preview your changes in over 70 email clients, apps, and devices with Email Previews, without leaving Builder. Along with an improved flow for using templates, we’ve streamlined the offerings of the template gallery, too. Whereas before the downloaded .zip file contained multiple versions of the same template (using different coding techniques), we’re going all in on the hybrid approach. While email clients have seen recent improvements that allow for wider support of different coding methods, the hybrid approach is still the most bulletproof way to develop emails. Hybrid emails—like the ones in the template gallery—help ensure correct rendering in all popular email clients. And, if you’re a Campaign Monitor or MailChimp user, you can take advantage of versions coded specifically for your platform. From the teaser to the announcement, these templates will help you breathe a sigh of relief when you click the send button. Have special offers, confirmation emails, or receipts? These templates cover all your transactional needs so that purchasing from you doesn’t have to be boring. Email is all about a personal relationship with your subscriber. Help manage all of the aspects of customer support from password resets to account re-engagement with these templates. Deliver an amazing experience while you shout from the rooftops about your brand. 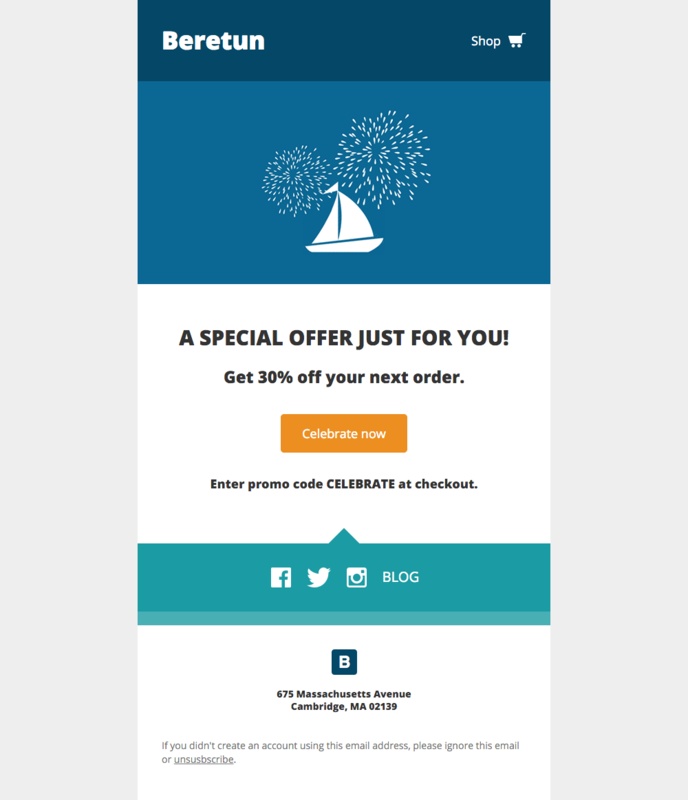 From events to announcements and newsletters, keep your customers (and potential customers) engaged. 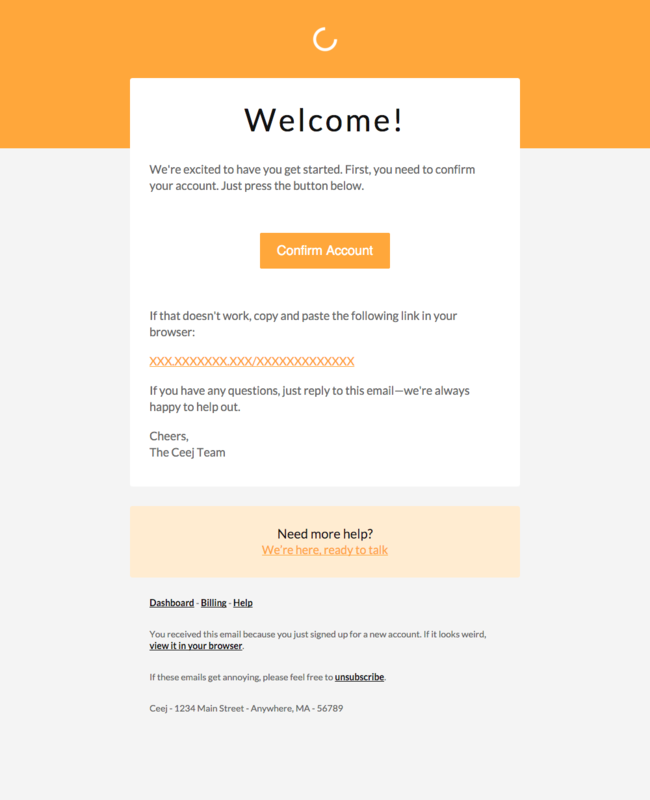 Sign into your Litmus account and head over to the Litmus Community Templates to get started with a new email template. Not a Litmus customer? Sign up for a free Community account to access all of the templates. Need help getting started with your templates? Check out our documentation. Hop on over to the Litmus Community Templates and jumpstart your email design process with a free email template. Use them out-of-the-box or as a foundation for new campaigns with less effort.